Club Penguin Cheats by Mimo777 Club Penguin Cheats by Mimo777: Dino Puffles: Frequently Asked Questions! To help answer some of your guys' questions about the dino puffles, click the links below! To adopt a dinosaur pufle, you first need to dig up an egg at the Prehistoric Party. 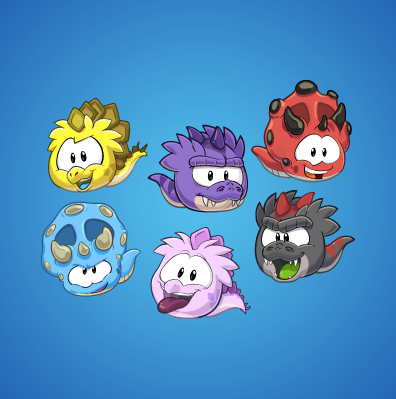 Here's how to adopt a dinosaur puffle! You can care for your dino puffles by taking them for a walk. Learn more about caring for dino puffles here. Don't worry, your dino puffle won't run away if your membership expires. Find out more here. There are 6 different dinosaur puffles. Here's a full list of dino puffles. Can't wait to adopt my own! I like the yellow one the best!